A Rotary and piston drum is offered in a variety of construction materials for dispensing most types of liquids and chemicals. 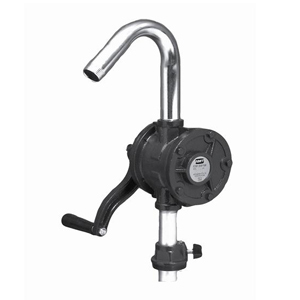 Many units include discharge spout, bung adapter and suction tube assembly. Designed for pumping liquids compatible with pump component materials. WeGotPumps sells a variety of rotary and piston drum pumps from leading manufacturers in the USA.